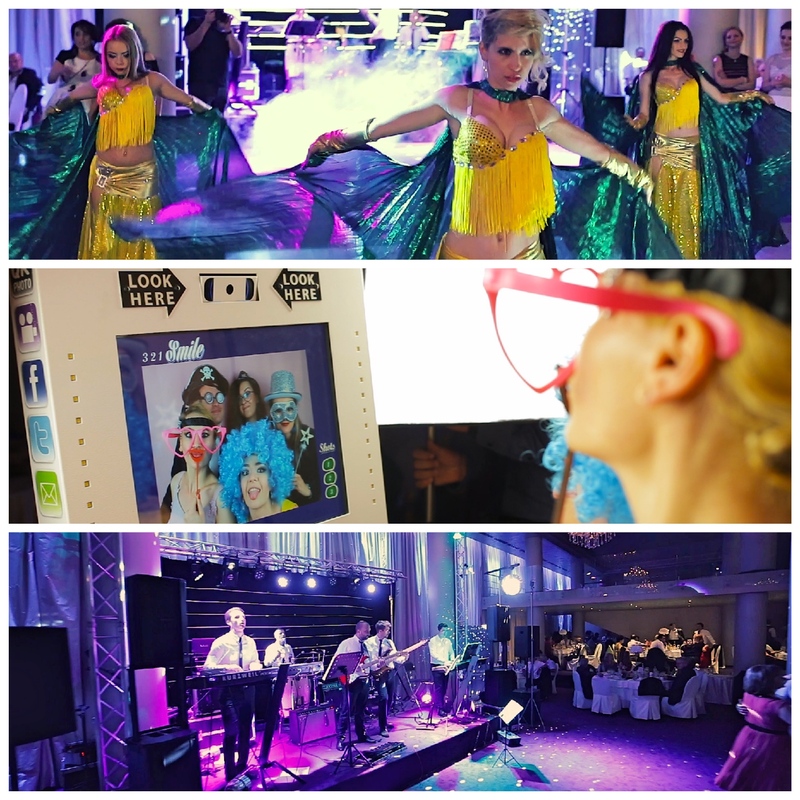 The coastal wedding of Raluca and Adrian was an event full of surprises, not only for them but also for our team. But let’s start at the beginning. Probably the most beautiful surprise was the marriage proposal itself, on a plateau with views of the Mediterranean on the way to Ypsario Peak, the highest point of Thasos island. 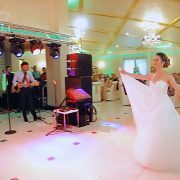 However, the surprises were as intense on the wedding day, starting with Adrian who was both touched and enthusiastic to see Raluca in her wedding dress, to the splendid purple bouquet he gave her. But I had my surprise share as well, as I discovered that a former high-school classmate was part of the service providers I worked with. He is the co-founder of the company that brought the Photobooth to the wedding venue and it was an amazing feeling to meet and work with such an old friend in such a distant location like Mamaia. The Photobooth was one of the most successful elements of the event, and we all made funny photos which still make me laugh. The 4th of June began with a very strong Turkish coffee prepared by Adrian’s father. 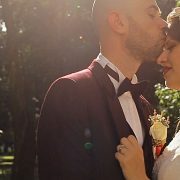 Preparations began early but unfolded in a relaxed manner, and at the appointed time we went to the wedding ceremony in Constanta, close to the promenade. The religious ceremony followed and afterwards the photographer Dan Muresan together with his girlfriend (who is actually his second shooter) held a photo shooting session with the wedding couple, the godparents and some close friends near the Casino of Constanta, the city’s symbol. Before going to the restaurant – Melody Ballroom – we even had time to savour an ice cream at a nearby terrace, so that was quite a relaxing and sweet moment of this coastal wedding. Following the surprise series, the first dance was a wonderfully executed Bachatango choreography which set the tone for the party. The Sing band together with their dancers entertained the guests with a variety of styles, ranging from pop music to classical and traditional songs. The party was very lively and we went to the hotel only at dawn, so we could also take some shots of the sunrise. The next day, when I went with some friends from Photobooth for a swim, it came to my mind that it was the perfect ending of a highly successful event.